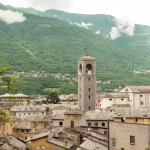 Today we are going to climb along the summit for a new route easy to reach from our Hotel Posta Moltrasio. We are going to admire Lake Lugano and Switzerland but remaining in Italy, thanks to one of the most scenic spots of our territory, Mount Sighignola, also called the Italy’s balcony. Mount Sighignola is one of the main peaks of the Lugano alps whose sides are divided between Lanzo d’Intelvi, Italy (we had already proposed a tour up to Lanzo here) and Arogno / Lugano, Swiss (here instead you can read a one-day tour to Lugano). 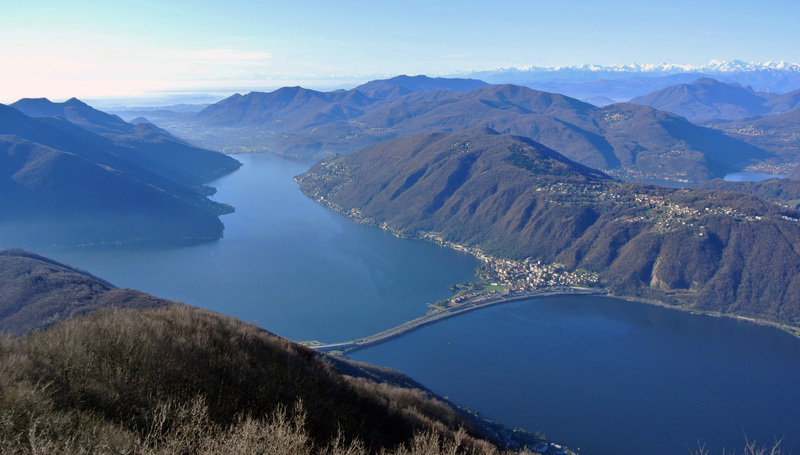 You can reach Monte Sighignola both from the Switzerland side that starts from Lake Lugano, both from our side (from Lake Como), by car or on foot. Mount Sighignola is about 50 minutes by car from our hotel. You have to go in both cases to Lanzo d’Intelvi, and from there you have to take the 5.5 km long road built in 1913 by the Italian Touring Club. At this point you can then decide: during the winter months, you should first check if there is snow, on foot to reach the summit will take about 10 minutes, during the summer you can play around even on hiking trails on foot or by bike also departing from the valley floor and tracing the historical Linea Cadorna built during the First World War (read about it here). The landscape that can be enjoyed on Mount Sighignola’s summit is breathtaking. It’s in fact a real overhanging terrace, which is why it is a real Italy’s balcony, who rushes into the valley with a vertical drop of 1,000 meters. Under your feet you can admire the Lake Lugano until noticing the Lake Maggiore, you will have a splendid view of the city of Lugano. If you raise your eyes slowly between woodland and paths you will see the Alps and the majestic Alpine’s peaks that can be seen on the horizon. Among them, the Monte Rosa and the Matterhorn, easily identifiable because they are perennial glacier, or even natural reserves such as the Campo dei Fiori, Bre and Tamaro in Switzerland. I found this little video on Youtube: within seconds it gives you an idea of ​​what you’ll see. 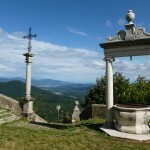 Mount Sighignola has a resting spot, a picnic area and a children’s playground recently refurbished. 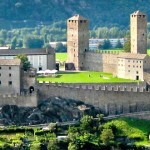 It is also the place loved by many Italian and Swiss who frequent it during the classic Sunday outing. It is not uncommon to see people hiking, cycling, and many motorcyclists who often organize motorcycle meeting or tours to the lakes. Some time ago also George Clooney has been on the Italy’s balcony riding his Harley Davidson. Mount Sighignola is a very special place, one of those places difficult to tell, you must simply live them. When you arrive at the hotel, ask for information at reception about the best tours for you. All staff is going to help you and make you live your vacation at the best! 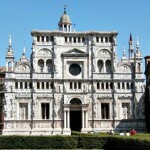 Your day trip in Pavia: The “Certosa” and so more!